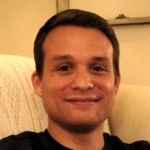 Jesse Roman joined Edify on August 1, 2011 as Program Manager for Edify Rwanda. Prior to joining Edify, Jesse worked at the National Republican Congressional Committee (NRCC), the official campaign committee for U.S. House Republicans, for four years managing the low dollar mail program and the physician donor program raising over $20 million. As Program Manager for Edify Rwanda Jesse has been able to use his knowledge of vendor and budget management in implementing and managing Edify Rwanda’s Finance and Accounting & Human Resource training as well as managing the day to day accounting for Edify Rwanda. Jesse graduated in 2007 from Point Loma Nazarene University in San Diego, CA with a B.A. in Industrial Organizational Psychology.